A brand which has gained a great popularity with its coffee-brewing equipment all over the world has a rather short history dating back to 1921 when the company was founded under the name Hiromu Shibata Works. Back then, it was a heatproof glass manufacturer, and to this day, it remains the only Japanese manufacturer with a factory. Since 1921, the range of products that the company is making has developed. From first producing laboratory glassware, the company launched its first coffee-brewing device that caught the attention of households and the coffee industry, the coffee syphon, in 1964. 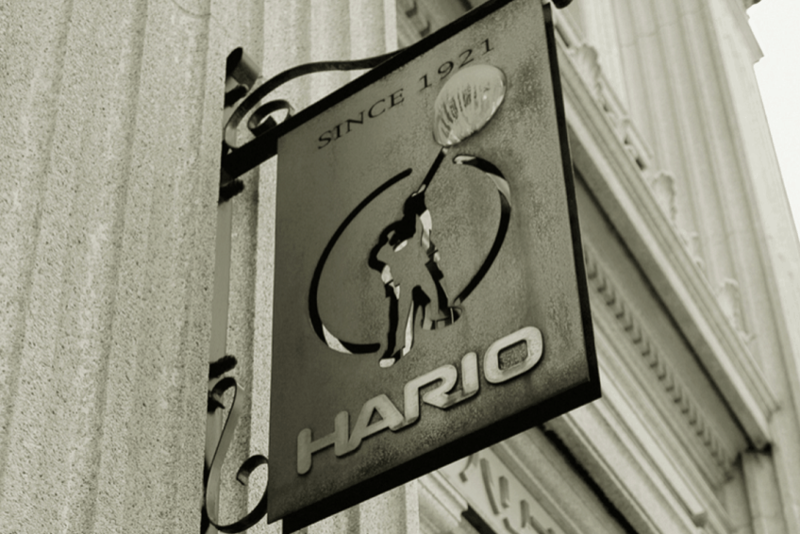 At that point, Hario Co., Ltd., a separate glassware division, was established. Since then, many years had passed before the launch of the pourover method we are interested in today. Since the beginning, the company has established itself as the leader in the glass-manufacturing market. The name given to the division producing the 1st-grade hardness glass was HARIO, meaning, the King of Glass. The company has taken pride in producing glassware of the highest quality. Their heatproof glass is made of silica sand, borax, boric acid, alumina; all refined natural minerals. An electric heating system is used at their factory, which means, there are no chimneys necessary. The King of Glass is thus also taking care of their environmental impact. 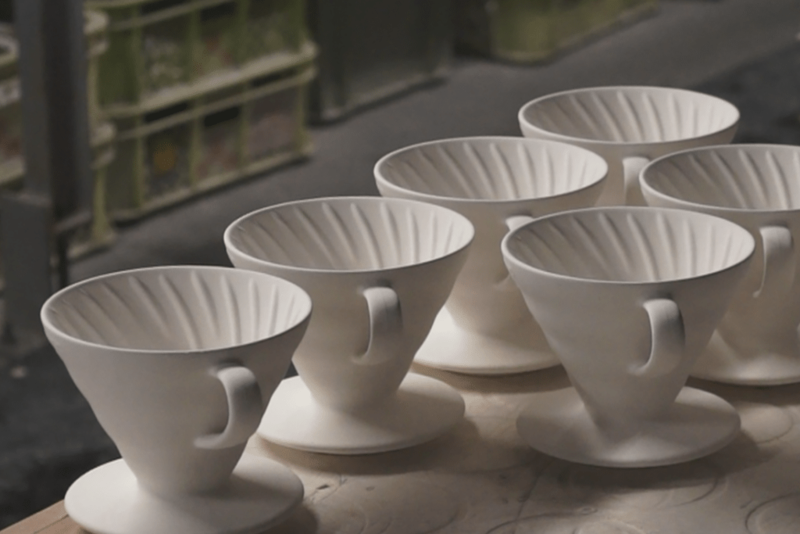 Although Hario’s production has always been focused on glassware, its most famous product is actually made of porcelain. The brewer can be found all over speciality cafe bars in its signature white or red colours. The ceramic brewer of an elegant, conical shape is undoubtedly one of the most popular brewers in our industry. But how was it invented, and how is it produced now? 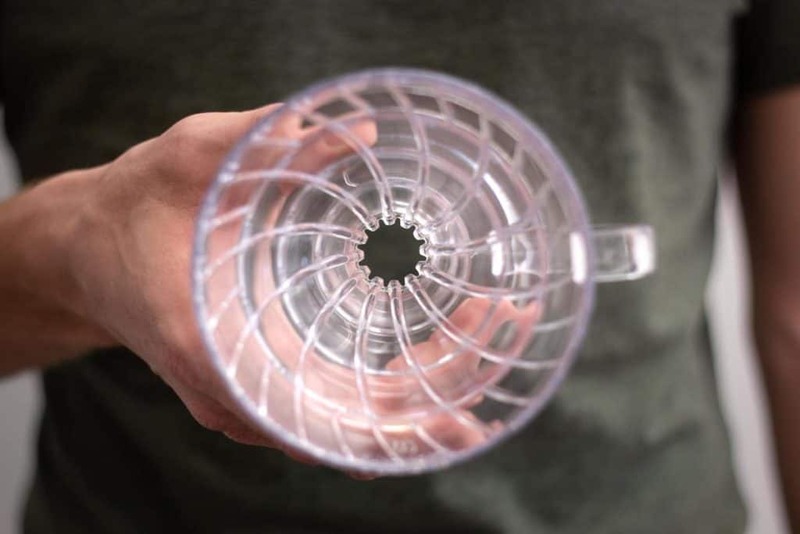 Research proved to provide scarce information, but we found that in the 1980s, the market was so dominated by immersion brewers, rather than pourovers, that the “Hario’s designers wondered whether a parabolic shape would help to achieve a cleaner-tasting cup by allowing water to pass through the grounds rather than steeping them,” the UK Hario website informed us. The designers were onto something. We know that now, but their idea was met with some obstacles and a few years of lay-back before the V60 came to life. What the designers came with at first was “a conical dripper using wire rods to support a paper filter.” Unfortunately, this brewer failed to gain much popularity against the big instant-coffee wave. The idea was not forgotten, only put on ice until 2004. The design of the shape of the V60 is, as Hario put it, a shape of nature. In other words, y = x². Which really means, that at the beginning of the V60’s design there was a parabola. 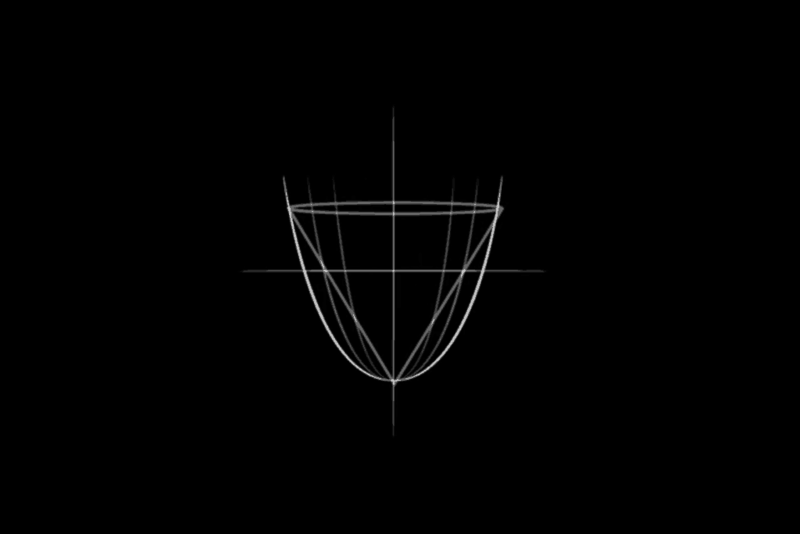 V60's name comes from its letter V shape, which is under the angle of 60 degrees. 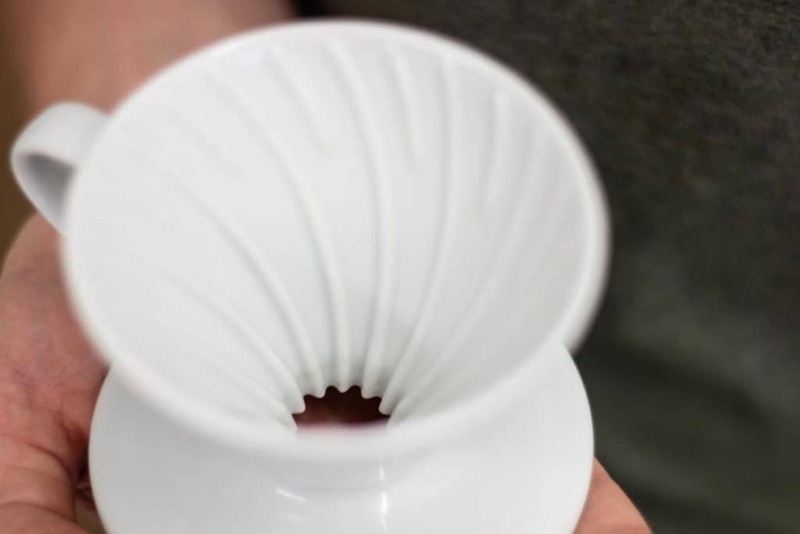 The resulting cone was designed to hold a paper filter, had a large drip hole and the inner side of the brewer had spiral ribs, allowing the air to be released while brewing. These are the standard features of the V60. Almost nothing has changed from the original design that came to reality in 2004. It is still produced today, with the addition of other design features, manufactured with high-quality materials. 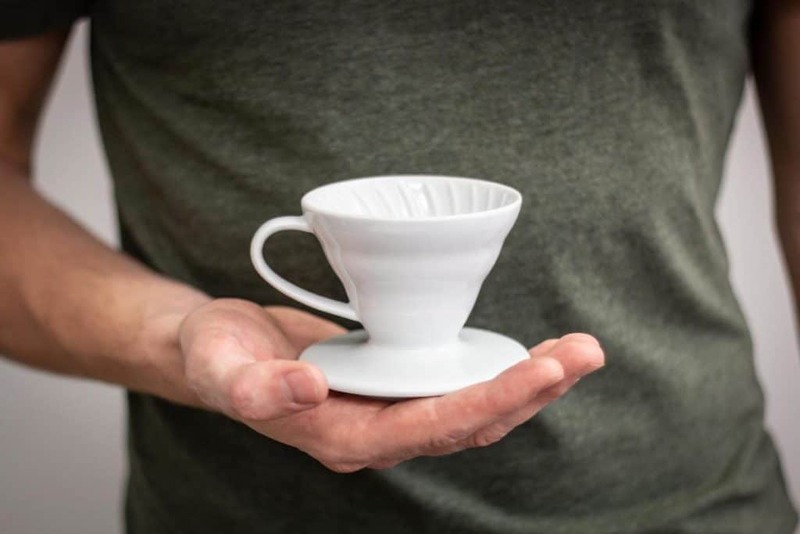 The original ceramic V60 is manufactured using Arita yaki, a Japanese porcelain brand. Arita yaki is porcelain made from fine clay, that results in unclouded, clear ceramic, giving it a sleek finish. This Arita yaki method of ceramic production is 400 years old and has been followed to this day. 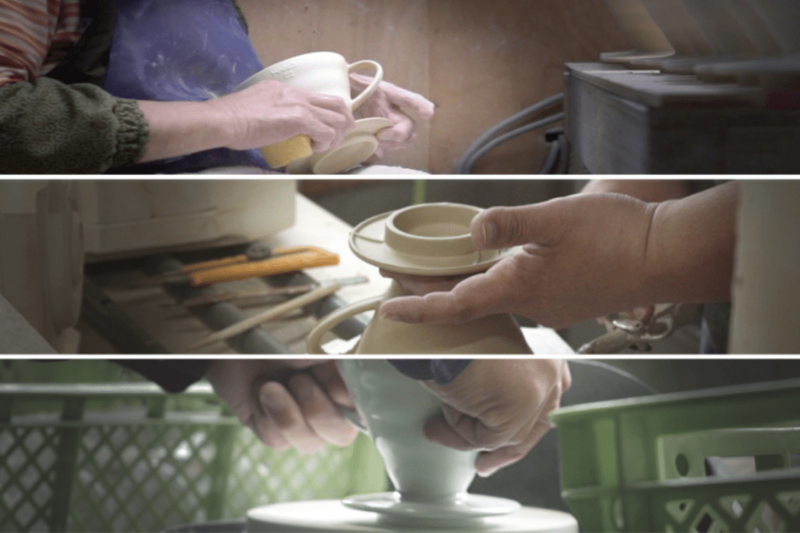 The V60 is still produced in the town of Arita, which is known for its ceramics. Additionally, the cone has been produced in various materials, including glass, metal, plastic, there are even two special editions, one with an olive wood base and the famed Copper edition. The 2018 limited edition of the ceramic V60 promises several new colours, with the first one, pink, already showcased at the London Coffee Festival 2018. We won’t lie, the indigo blue is our favourite, it would fit perfectly on our shelf! We think the V60 is so popular thanks to its (beautiful) design features that can deliver bright clean cups. We also believe that there are differences in the way one must brew coffee when using V60s constructed from different materials. 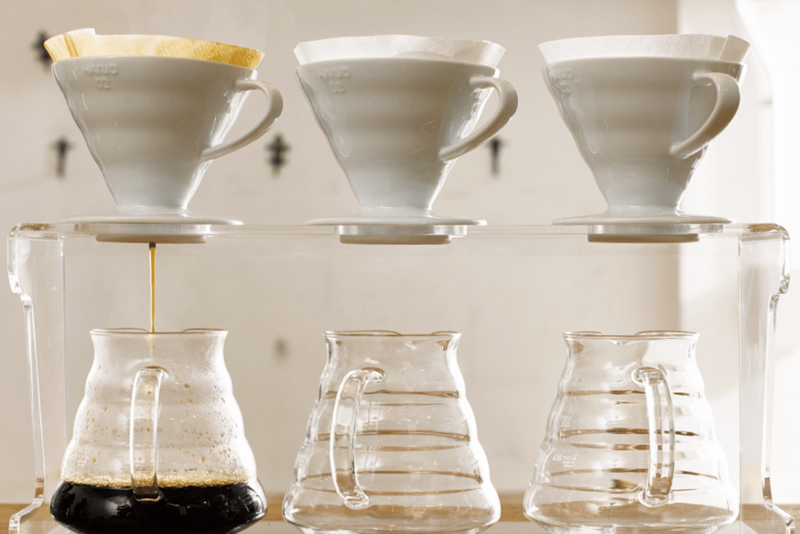 This versatility in brewing means there’s not only one way to enjoy a cup. Although we love the feel of the ceramic V60, travelling with it can be a bit tricky. Not to mention that dropping it on the floor is out of the question, and the fact that porcelain is usually more difficult to preheat due to its thickness. If you prefer for your water temperature to remain as stable as possible, the plastic brewer, compared to the ceramic one, has a low heat-retention. This makes the brewing water drop down in temperature only minutely. And we must say, our plastic V60 has hit the floor hard a few times already. The metal versions are more suitable for the purpose of travelling, and the design was brought to help the extraction, but copper sits on the cost-heavy side of the scale, and thus remains the last one we would recommend for a home set up. Are you surprised that the plastic V60 has so many advantages? We were too, but after using it at home daily, we understood. No burnt fingers or chipped corners, an easy transport to a friend’s house, it is the brewer to grab for almost any occasion. Well, maybe not for the competition stage, where it seems, the white ceramic cones have always been the chosen ones! 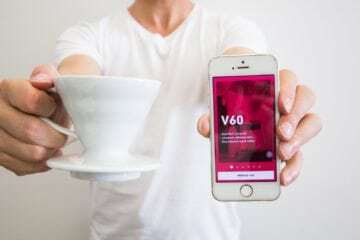 The boom of the V60 brews being offered at speciality cafes comes hand-in-hand with the brewer appearing regularly in Brewers Cup Championships presentations worldwide. Looking at all the past rankings, the World Brewers Cup Championship was won with a V60 in five out of seven cases. We wanted to know how much can a recipe differ with this simple brewer, so we searched for advice with two coffee professionals who made great videos about their methods for all of us to learn from. Scott Rao needs no introduction. 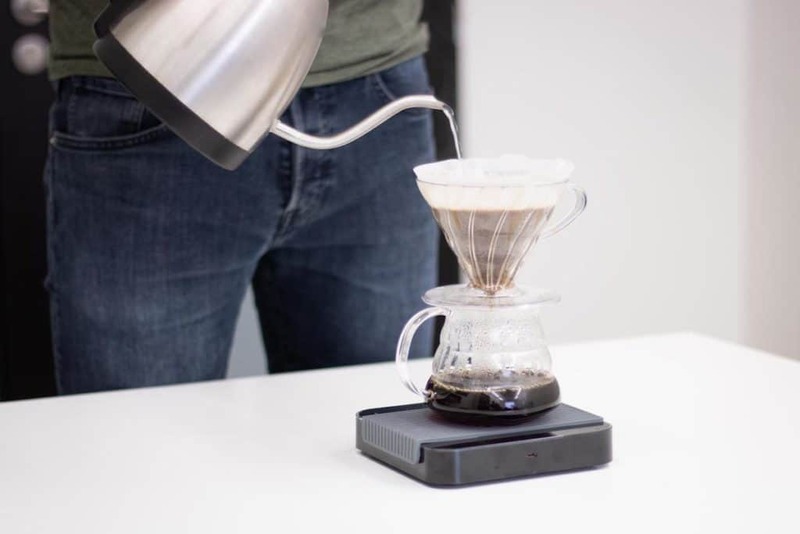 If we keep the credits related only to V60, he is the father of the Rao spin, and he recommends the one-pour or two-pours method of brewing with a V60. You can read his full blog post, while the following is just the summary of the most important facts. Tetsu is the 2016 World Brewers Cup Champion, who invented his 4:6 method that brought him the win and has until now been watched over 66,000 times on Youtube. Tetsu says that you can adjust the taste of your coffee by dividing the brew water into a 4:6 ratio. 40% adjusts the sweetness and acidity, while the leftover 60% adjusts the strength. 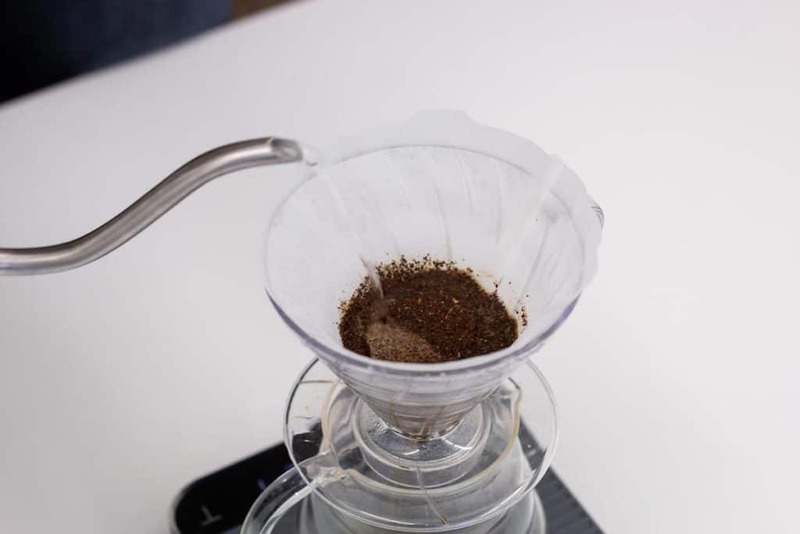 No matter what type of V60 brewer you prefer or decide to get it will always bring out a clean cup, and based on your recipe, it will have a wide potential of flavours. Enjoy the experiments!